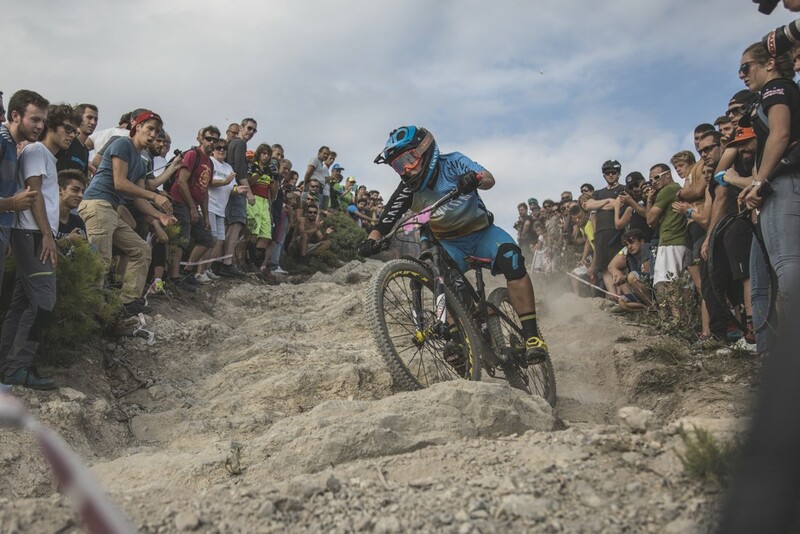 Canyon riders were mainstays on the Enduro World Series circuit, including Ines Thoma, who finished fourth overall in 2016. It’s never been a question of if. It was always just a matter of when German direct-to-consumer bike seller Canyon arrived on U.S. shores. That question has finally been answered, as this week the bike making giant with a vast product line announced it would be open for business on this side of the Atlantic in Q3 of 2017. No word yet on whether that means July 1 or September 30, but we’d guess it will be closer to the former. What that means to you is access to a wide range of mountain, road, and triathlon bikes that are steeped in top-tier technology, draped with top-shelf components, and priced very (very) competitively. 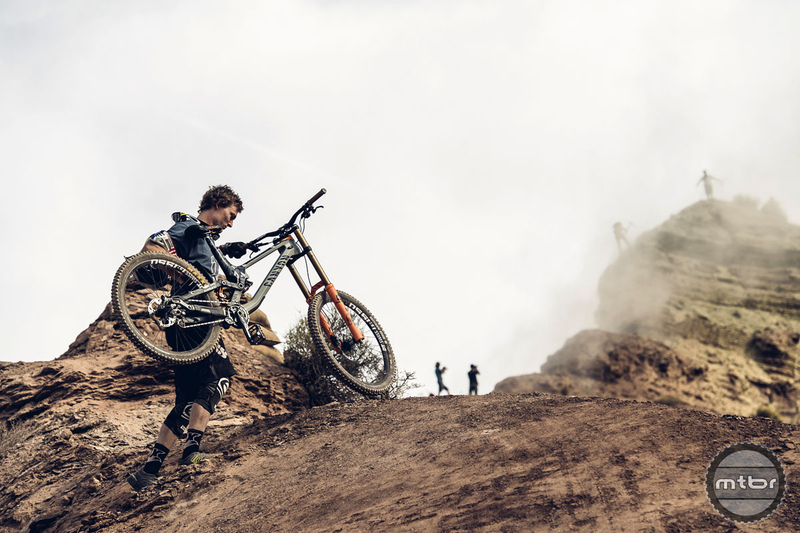 As an example, Mtbr has spent parts of the last six months testing Canyon’s 2016 Spectral CF 9.0 EX, which in Europe sold for 4199 euro or about $4531. 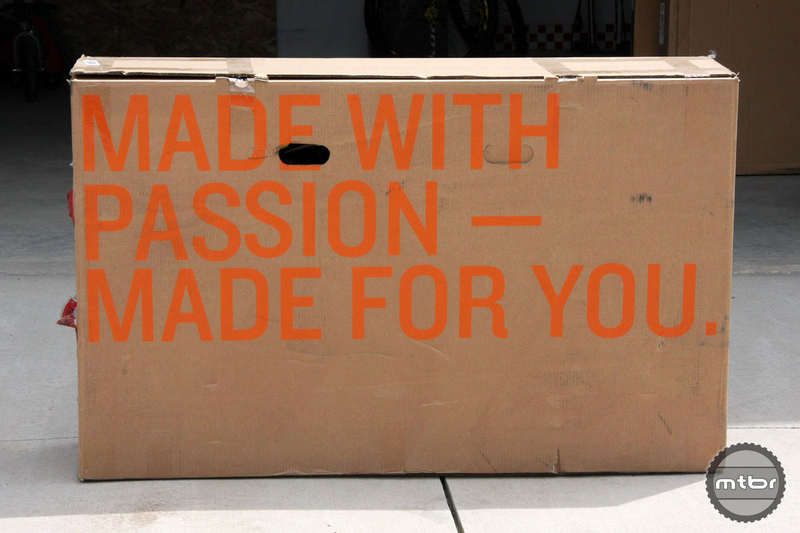 Your Canyon purchase will show up in an oversized box similar to this one. And here’s everything that came in our test bike box just as it was packed. For 100 euro more for the 2017 model you’d get a 140mm 27.5 full carbon frame trail bike spec’d with SRAM X01 Eagle 12-speed drivetrain, SRAM Guide RSC Brakes, 150mm RockShox Pike fork, RockShox Monarch shock, DT Swiss XM 1501 Spline One wheels, and a RockShox Reverb dropper post. (You can see the full build of the 2017 bike here, which differs slightly from our 2016 test bike pictured below.) Point being it’s a lot of bike for not as much money as you’d expect given current prices of the big U.S. brands that are sold primarily in bike shops. 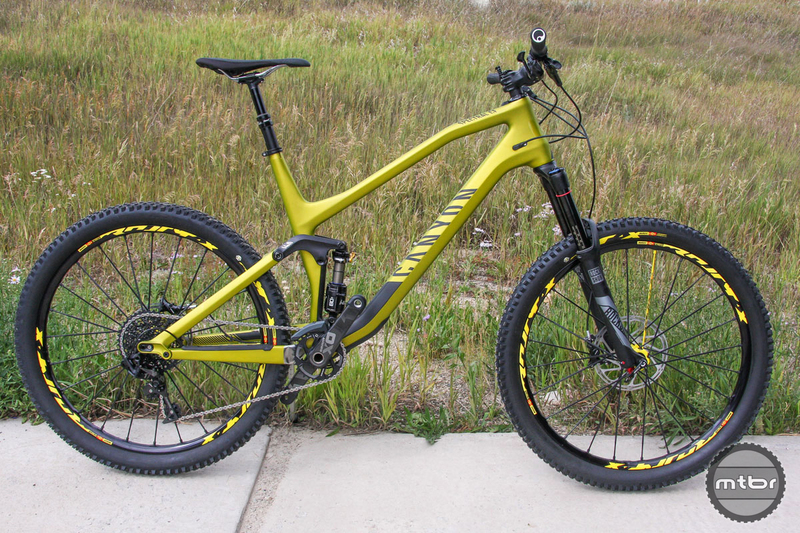 Mtbr spent a season testing the Canyon Spectral CF 9.0, and we were highly impressed with its all around versatility. Run through the same exercise for a Canyon road bike and it’s a similar story. The deals are good, if not great. The Shimano Dura Ace spec’d full carbon Canyon Endurance CF SLX 9.0 road bike with DT Swiss carbon wheels is 5799 euro (or about $6258). Just note that Canyon has not yet confirmed exact U.S. pricing, and that by the time of launch 2018 models will be available, so all these numbers are speculative for now. 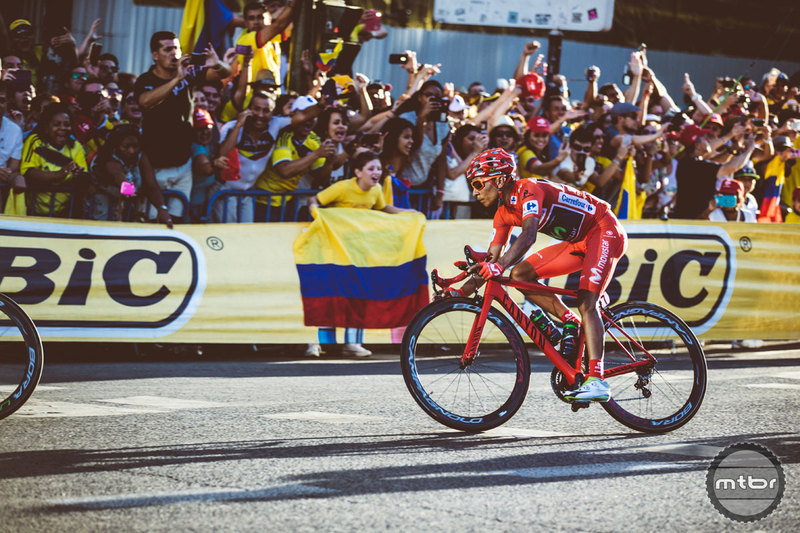 Movistar rider Nairo Quintana has a legit chance to win the Tour de France in 2017. The other important point is this is not some Johnny-come lately company that’s grabbing generic open mold frames off a shelf in China and selling them to you at a perceived discount. Canyon is a huge player in the professional bike racing realm. 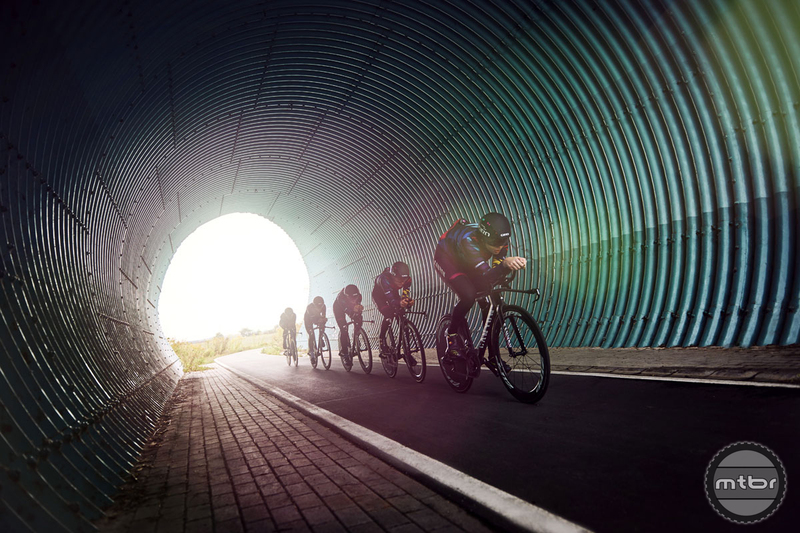 This year its road bikes are being ridden by two Tour de France level teams (Katusha and Movistar), while its mountain bikes grace the World Cup cross-country and downhill circuits, and the Enduro World Series via the Topeak-Ergon, Canyon Factory Downhill, and Canyon Factory Enduro teams. 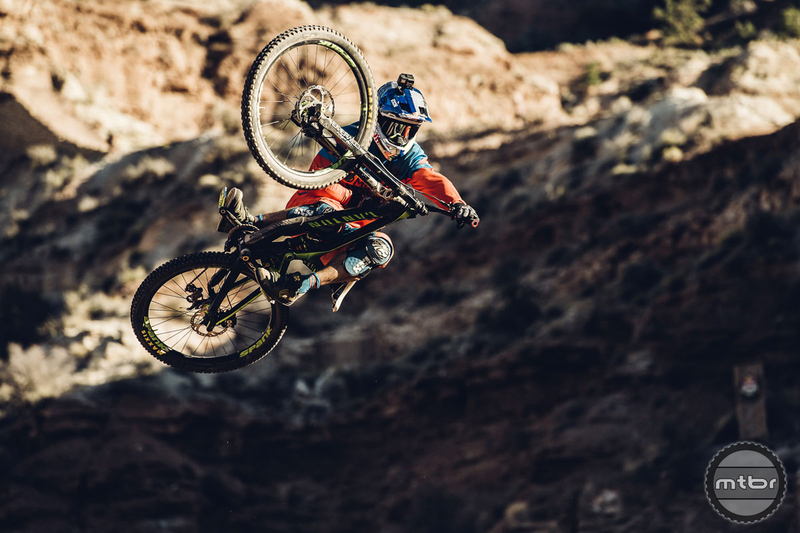 They’re also the bike of choice for freeride stars such as Thomas Genon and Darren Berrecloth, sixth and 11th respectively at the 2016 Red Bull Rampage. Famed Canadian freerider Darren Berrecloth doing his thing aboard a Canyon. Canyon also claims to have an R&D department that’s currently made up of 50 engineers, designers, product managers, and quality controllers. The hitch for some will be the fact that you won’t be able to buy your Canyon at a local bike shop. Instead you’ll point and click on-line, then the bike will show up direct to your door. This might sound intimidating to the non-mechanically inclined, but based on our experience, the build-up process is no harder (and perhaps much easier) than erecting a shelf from Ikea. Our test bike showed up in an oversized “guard box” and was basically ready to ride, save for a few small tasks such as installing the wheels and handlebars, airing up the fork, and pulling the pre-routed dropper post cable the final few inches so that you could insert and secure the seatpost. And in case there’s any confusion, the bike came with easy-to-follow step-by-step directions. Basically, if you can read, you can build-up one of these bikes. 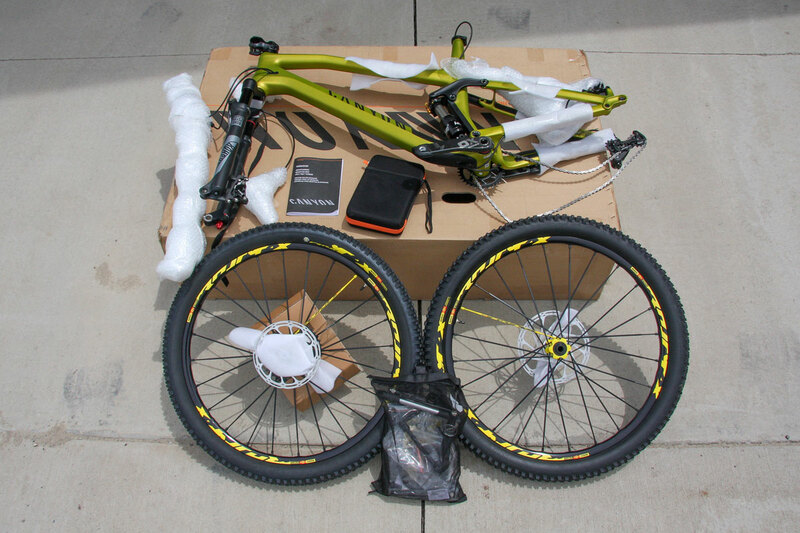 Bikes also ship with all the necessary tools, including shock pump, torque wrench, and tubeless tire valves. So as long as you own a floor pump, you could be out the door and riding within an hour. Canyon claims to have an R&D department that includes 50 engineers, designers, product managers, and quality controllers. To make all this happen, Canyon has secured a warehouse facility in Southern California, and is in the process of choosing a location for management operations and dedicated U.S. customer service. Key staff have been hired, with other positions in the process of being filled. Continuing updates and event announcements can be found at the dedicated U.S. website online at www.canyon.com. As part of its announcement Canyon supplied this FAQ to help consumers better understand the brand and its processes. The company says it’s just as serious about R&D as any of the other big boy bike makers. Canyon started life as Radsport Arnold back in 1985. What began as a business run out of founder Roman Arnold’s garage has grown into one of the industry’s biggest bike makers. Following the success of the first ever Canyon bikes developed in the late 1990s, the company changed its name to Canyon Bicycles GmbH in 2002 and is based in Koblenz, Germany. They currently ship bikes all over the world, including most of Europe, and parts of Asia, Central America, South America, and the Middle East. When will bikes be for sale in the US? Bikes will be available Q3 this year. This is to ensure only MY18 inventory, reducing overlap of model years and streamlining efficiencies. 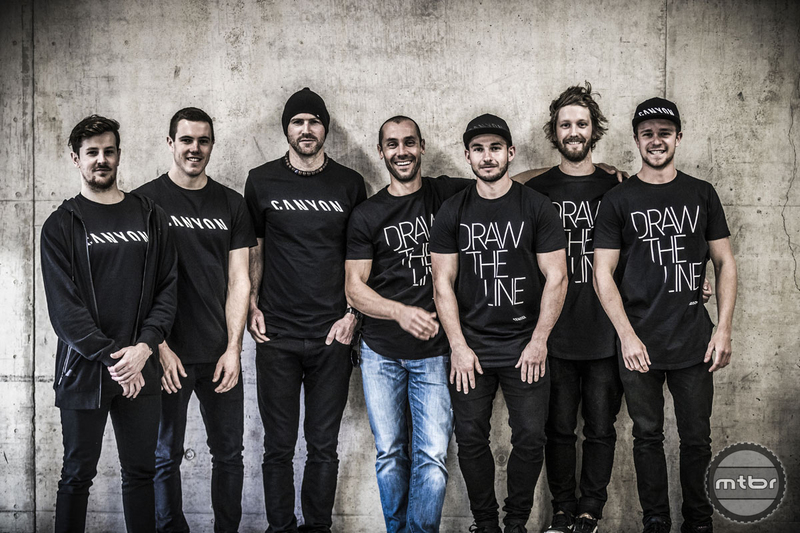 The Canyon Factory Downhill Team includes the likes of World Cup winner Troy Brosnan of Australia, and former World Champion Fabian Barel. How will Bikes be delivered in the U.S.? U.S. customers will receive their Canyons exactly in the same manner as Canyon riders around the world, in our custom Canyon Bike Guard box. Bikes are pre-tuned and require almost no assembly, ready-to-ride in under 15 minutes. Bikes that are shown as ‘in stock’ on our website will ship within 2 weeks, typically sooner. 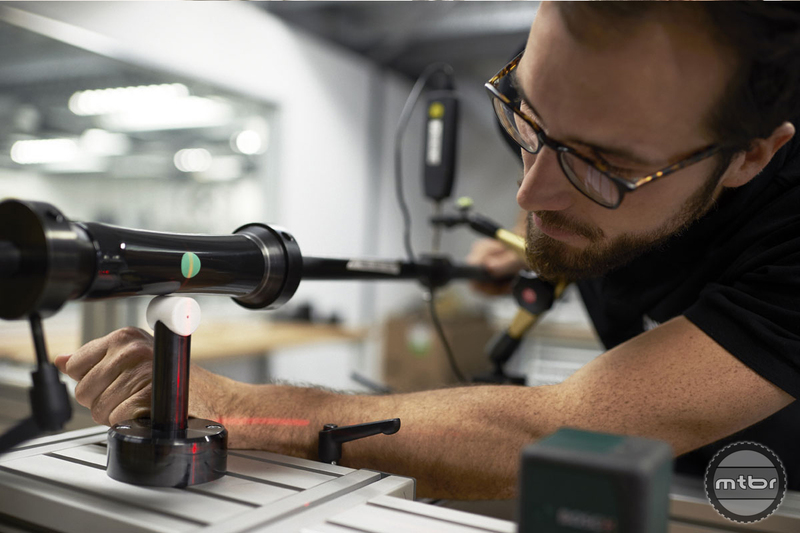 The exact timing depends on our volume of orders on any given day, but once an order is placed for an in-stock model, final touch is executed and the bike is shipped immediately. Which Bikes will be available in the US and what will pricing be? Canyon is all about “democratizing performance.” That is part of our success model and our ever-growing fan base globally. We will make sure to keep this promise to our U.S. customers as well. The majority of bikes offered will be the same as in Europe and pricing will be comparable. Exact stock and pricing is not 100% finalized as we are negotiating with some of our component suppliers in regards to their MY18 offerings. 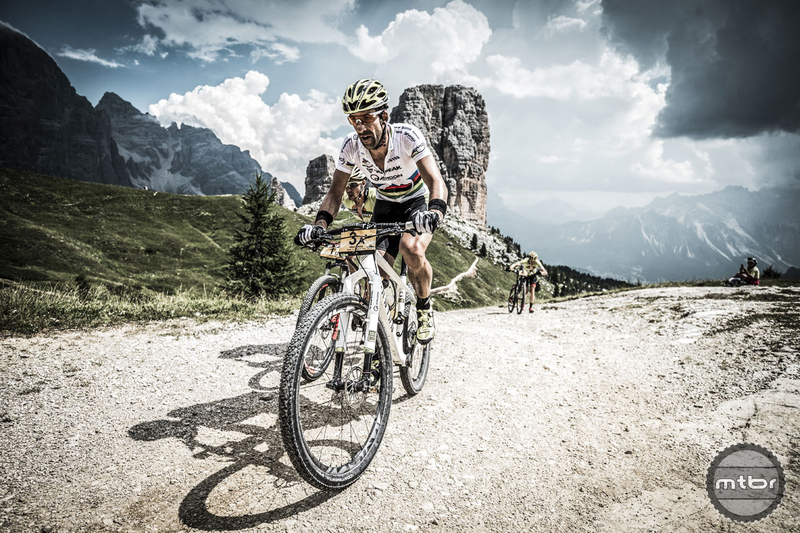 Team Topeak-Ergon (and Canyon bike) rider Alban Lakata owns the course record at the famed Leadville 100 MTB race. What kind of staffing will there be in the U.S.? We will have full-time staff in the U.S. for our warehouse and office operations. We will have dedicated U.S. Customer Service staff as this is of top importance to Canyon. Customer service is one of our core functions when entering a new market. We are in the process of filling those positions and will be posting some additional job opportunities shortly. Where will bikes be assembled? 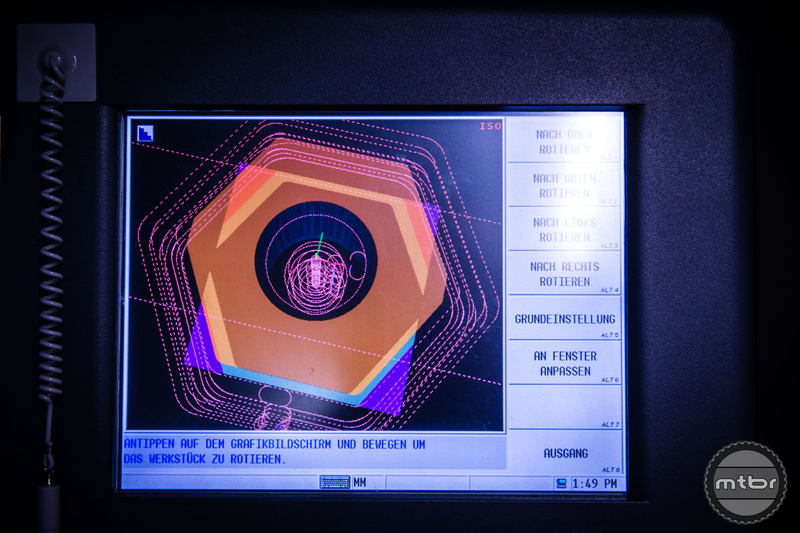 All Canyon bikes are designed and engineered in Germany. We think “customer first” and in the interest of delivering the best buying experience to consumers who have been waiting the longest of Canyon bikes, we have now decided to go a hybrid way in our supply chain strategy. Some bikes purchased by U.S. customers will be assembled at our state-of-the-art Canyon Factory in Koblenz, but in the interest of efficiency and to ensure that U.S. riders have the same high level of prompt service as in Europe, we will also be assembling some bikes in Asia, with final touch preparations being handled in the U.S. Every bike delivered to a U.S. customer will be pre-assembled and prepared with the same meticulous process and obsessive attention to detail as in our Koblenz facility. Will there be a service center in the U.S.? Our Southern California office will function as our U.S. service center, with dedicated staff. For more info visit www.canyon.com. Here’s everything that came in our test bike box just as it was packed. Canyon rider Thomas Genon scopes his line at Red Bull Rampage. 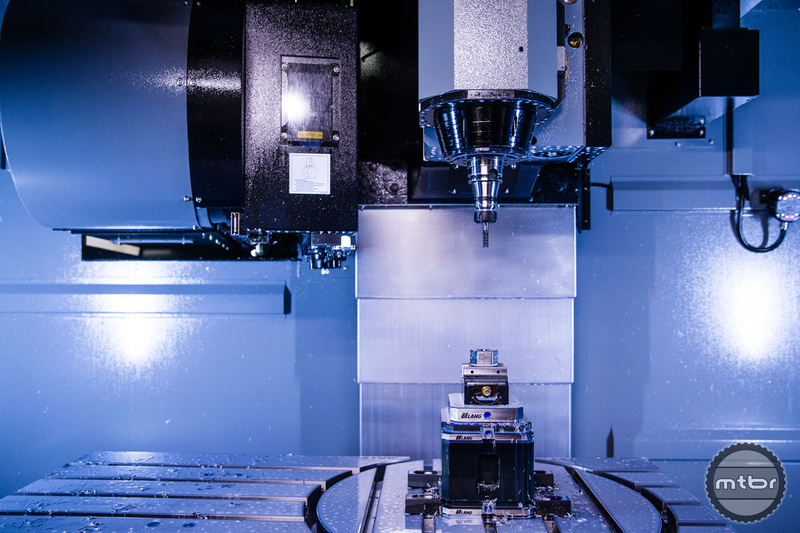 Lots of high tech tooling helps bring Canyon bikes to life. 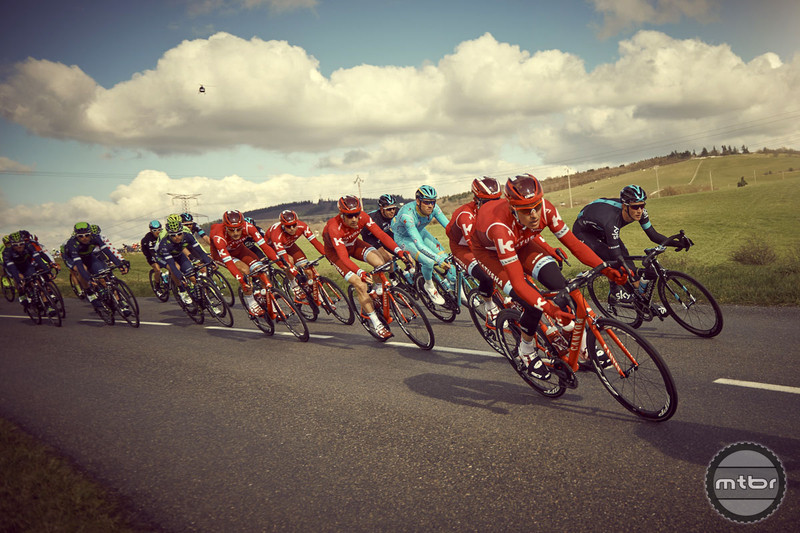 Team Katusha-Alpecin is one of two WorldTour teams aboard Canyon road bikes this year. The German bike maker also sponsors the women’s Canyon-SRAM racing team — and makes a wide array of time trial/triathlon bikes. Another direct sales Chinese bike with recycled Horst-link technology. This is interesting how? This is why: Price, Value and Competition. And Motobecane wins in price for generic high-spec mountain bikes. Cue the music for great and passionate stories of woe regarding customer service. “Hi, you’ve reached the customer support staff here at Canyon. All service associates are currently attending to other very important customers at the moment. You are currently 37th in the queue and your call is very important to us. Please hold while enjoying our whiney chick music. Your call may be monitored for quality assurance and we apologize for any inconvenience. Approximate wait time is … 32 minutes.